Launching this year, Brentingby’s striking gold bottle has grabbed the attention of many. But as I wrote about earlier in the year, is the liquid as good as the bottle? Thankfully, in this case, absolutely. It’s a stunning example of Gin. Creator Bruce Midgley set out to create the very best gin he could. With the help of Tom Nichol (Tanqueray No.10 Legend) – they did just that – it’s a wonderfully smooth liquid, helped by Silver Birch finished with a wonderfully balance grapefruit and of course, Juniper. A company fairly local to me, I actually met creator Matthew Clifford by chance in London about three years ago, before Twelve Keys was created. Since then, it’s been great to follow the progress and with arguably the most successful launch at Junipalooza London, there is a big buzz around Twelve Keys – can’t wait to it grow. Already a heap of awards, I am a latecomer to this party, only first trying it a few months ago. Fatty’s is as bold as it’s striking bottle. It’s awesome branding stands out with a fresh, clean and herbaceous Gin inside – think a Gin x Aquavit (given Dill is a key botanical here) it’s a refreshing take – and one I was really impressed with! And it’s 100% Organic!!! The crazy lot from Renegade Gin celebrated their first birthday this year, and what a year they’ve had. Firstly, I always am impressed when people do “grain to glass” as it’s expensive, hard work and bloody difficult to nail. These guys have! I love them. 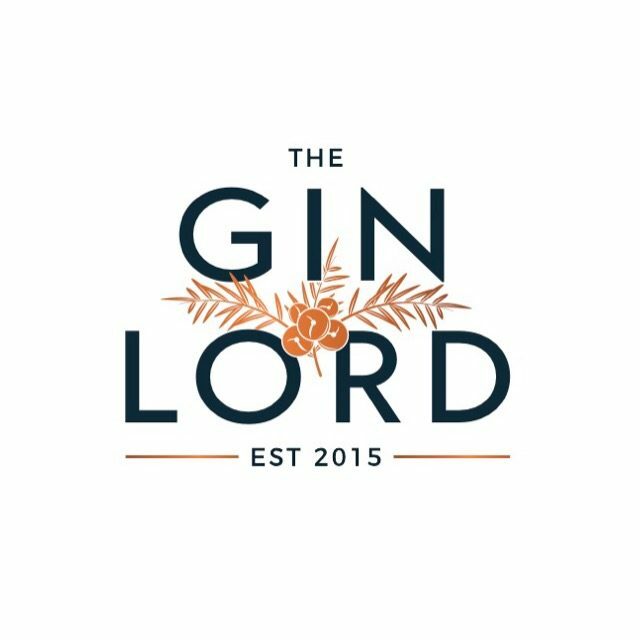 I love their passion, their ethos and their Gin. Big big things to come – and I’ll be first in line to taste anything they come up with! A really memorable experience earlier this year when I first tasted Jarrolds – it wasn’t just the impressive ABV of 48% – it was the spicy mouthfeel and mixing it with tonic – makes a banging G&T. Read more here. I’ve also heard very good things about their Sloe Gin!!! You can’t beat a good story behind a product, but the one about Old Bakery Gin is fantastic. I’d re-tell the tale here, but you need to meet founder Ian Puddick in person and hear it from the horses mouth. A few products in their portfolio already – but I am celebrating their navy strength, or Bakers Strength as it’s appropriately named. It’s a spectacular Gin – smooth as you like, given the ABV, hit if heat afterwards – but in my opinion, their best of their awesome products. Another one I was staying very close to when I got wind that Simon Sherlock was going it alone and making his own gin. Expectations were high when the Solstice arrived in June. From the glass stopper to the beautiful embossed pink label. I almost didn’t want to taste it in case I was disappointed. Thankfully, it blew me away. Read more about my thoughts here. Only launching this year – Red Door have had a fast start. Relentlessly getting their Gin out there. This has really been a stand out for me flavour wise – it’s dry and chocolatey yet remains a solid Gin. It has an impressive Distillery at family owned Benromach – home to the award winning single malt – I’m sure Red Door will follow in its footsteps. Stunning. Everything about Isle of Harris is stunning. Their Distillery, their bottle, the glassware and of course their gin. Whilst not new – this year has certainly been a great year for them. People are going mad for this – and so they should. Wonderful flavours, beautiful bottle – cold compounded?! Yes! While the spirit is distilled several times, the final stage of Uncle Val’s is ultimately steeping the botanicals – but my god it tastes good! One of the few who have nailed it. Out of the three on offer – the Botanical is by far my favourite! Wonderful hit of citrus, Selkie Gin is an absolute winner for me – mysterious as the Selkie itself, it makes such a great Gin and Tonic, but also, they have some amazing cocktail ideas! Check them out! They have also launched a pink expression, but it’s not sickly or sweet, just a wee bit of red fruit gives it its colour, whilst retaining that lovely Ginny-ness! Collaboration is very common in markets like Craft Beer – and while Gin has had a few, this one was unbearably exciting. I first heard about it over a year ago while I was in Australia – and have been counting down the days. Two of my all time favourite distilleries, Four Pillars and Hernö joined forces to create a truly exceptional Gin – they’ve both had massive years in their own right, but this is their finest creation in my opinion. Distillery visit of the year for sure – I was delighted to have a poke around this wonder in Chatham. A meticulous Grain to Glass set up, big plans for the future and a very talented team. I’d encourage you to book your tour, have a taste of their selection and see the Copper Rivet! It’s a great story!!! The internet went mad when the news that Ryan Reynolds had bought a majority stake in already well established Aviation Gin. While I knew it would do wonders for them, I was expecting it on such a scale. Mr Reynolds certainly hasn’t taken a back seat – from his Out of Office messages to the hilarious video with Richard Branson – it’s no wonder Aviation Gin has cleaned up this year! I’m sure there are more surprises to come! Last, but no means least – Hills & Harbour. Their no nonsense branding is refreshing, stripping out the unnecessary jargon, keeping things simple – but making a really solid, tasty Gin, which takes you right to the northern forests with its heavy pine. Great time of year – I sniped a bit of Xmas tree for a garnish and it worked wonders in a G&T!! Next Gin: Going into 2019 – What Can We Expect?